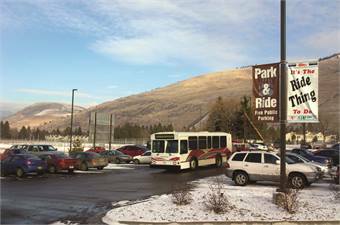 The Associated Students of Montana, part of the University of Montana, and Mountain Line combined their ridership numbers, to get STIC grant funding and run the Park-N-Ride together. Unlimited access is another factor in many successful combined systems. In 1989, Champaign-Urbana Mass Transit District (C-U MTD) adopted an unlimited access system early, partnering with the University of Illinois at Urbana-Champaign (U of I), and a number of systems have since followed their lead, including KU, UM and Penn State. “It’s been a very successful program. We had about three million rides before we started, and last year we had our best ridership year ever, at 11.1 million,” Bill Volk, managing director, C-U MTD, says. 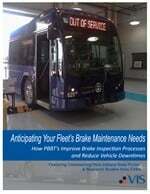 Students pay a fee for unlimited access to the entire transit system each semester. This year, that fee will be $52. The university also subsidizes unlimited access to the system for faculty and staff. C-U MTD runs five routes connecting the campus area with downtown with a five-minute frequency in corridors that connect to the central campus. About 70% of those rides are university-related. The university is CU-MTD’s primary traffic generator and the economic engine of the community. That makes unlimited access a boon to mobility in the community, Volk explains, because it creates opportunities for students and on-campus residents to move around the community for jobs, recreation and shopping, and enables people to choose more freely where they live. It’s also good for business, creating more opportunities for apartment rentals farther away from the central campus.